This guide is based on the Publication Manual of the American Psychological Association, 6th ed. For more details and examples, consult the APA publication manual (REF BF76.7 P83 2010). Place the reference list at the end of the paper. 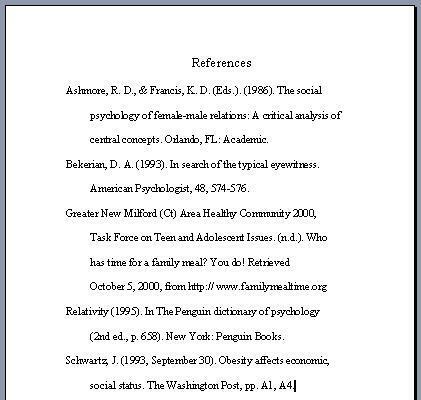 Center the title, "References" one inch from the top of the page.